LEGO Star Wars was the first LEGO Licensed theme ever created and is still running today, making it one of the longest-running LEGO themes. The theme began in 1999 alongside the release of Episode I: The Phantom Menace, though several sets based on the Original Trilogy were also released that year. Sets for Attack of the Clones were released in 2002, and Revenge of the Sith followed suit in 2005. The Clone Wars (2008), Rebels (2015), The Force Awakens (2015), Rogue One (2016), The Last Jedi (2017), and Solo (2018) also had sets released in their respective years. 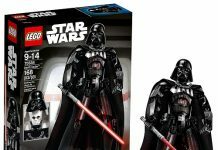 LEGO Star Wars is one of the larger LEGO themes and is very popular, due to the huge size of the Star Wars fanbase. Popular vehicles from the franchise have been re-released multiple times throughout the years to let new fans get their hands on them, whether it is the Millennium Falcon, a Star Destroyer, a TIE Fighter, an X-wing Starfighter, or a Jedi Interceptor. 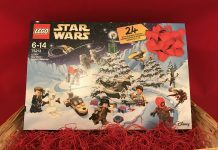 In recent years, the theme has drawn quite a bit of flak for its apparent price increases, along with a lower print detail for minifigures compared to other themes like Superheroes or LEGO Movies. Nevertheless, the theme is still going strong and will expand to include 4+ sets in 2019. 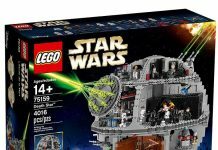 Check out our thoughts on the Best 15 LEGO Star Wars Sets. 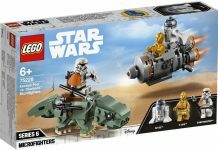 Fun fact: LEGO Star Wars was a bit of a risk and a strange endeavour for LEGO back in 1999, as they had never done a licensed theme before. However, the theme’s popularity spawned many more licensed themes, including Harry Potter, Marvel and DC Superheroes, Lord of the Rings, and much more.